Prevent child abduction and work to ensure abducted children are repatriated. 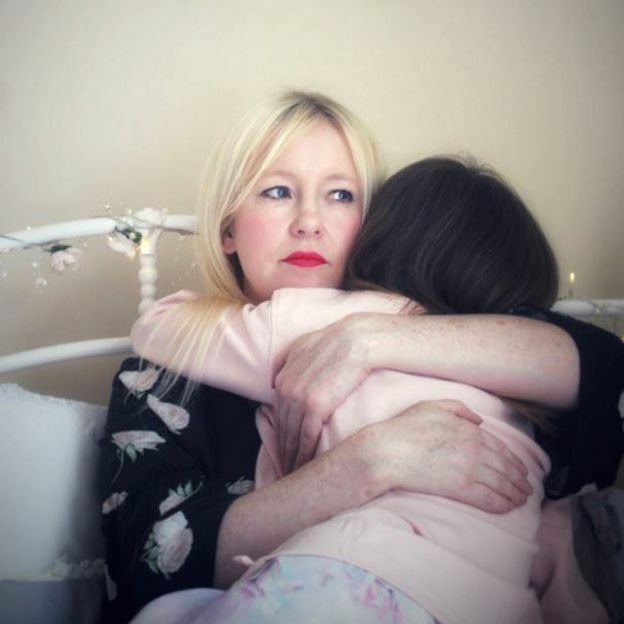 Approximately 500 cases of International Parental Child Abduction take place each year (that equates to ten a week) – these are figures from the FCO. Exit controls at the border were abolished in 1998, so court orders, alerts and other safeguards to prevent abduction cannot be effectively enforced. 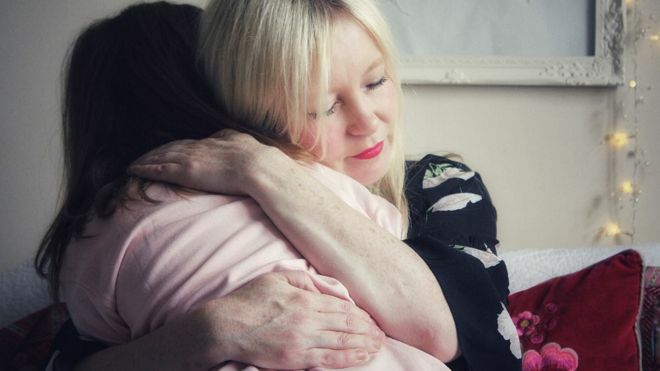 The Government must introduce a fully funded team dedicated to liaising with foreign Governments and fund legal action abroad to ensure that children are repatriated to the UK. The Government must implement the recommendations of the Law Commission to reform of sections 1 and 2 of the Child Abduction Act 1984. 10,000 signatures – of which there are only 45 to date – mine was the 45th – are needed for a formal response from the Government and 100,000 are needed for consideration to be given to a parliamentary debate. The Prime Minister begins a new era of strengthening Britain’s ties and influence in Asia with an ambitious three-day trip to Japan. 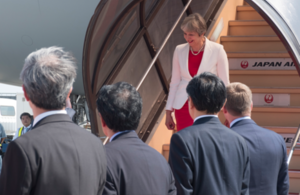 The visit will build on the two nations’ strong history of friendship and cooperation as the UK seeks to cement its position as Japan’s strongest security partner in Europe, on Theresa May’s first visit to the country as Prime Minister. With a trip involving three days spent in Kyoto and Tokyo, the Prime Minister will take part in a bilateral Summit and private dinner with Prime Minister Shinzo Abe, with both also addressing the UK-Japan Business Forum. She will say that the UK and Japan are perfect partners for the future, as both nations seek to build on their strong economic, trade, security and defence ties. The trip builds on intense engagement by the UK Government with Japan in recent months, including inward visits from the Chancellor, Foreign Secretary and International Trade Secretary, as well as the Prime Minister’s hosting of Prime Minister Abe at Chequers recently. Security and defence will form a significant part of this week’s talks, with the latest provocative North Korean missile test high on the agenda as the UK and Japan seek to step up their cooperation in these important areas. The Prime Minister is expected to say to Prime Minister Abe that the UK is outraged by North Korea’s reckless provocation and strongly condemns the regime’s illegal tests. A future trading relationship will also be a central tenet throughout the visit. It comes at a crucial time as the UK continues to prepare for new bilateral trading relationships after Brexit, and Prime Minister May is expected to reiterate the UK’s commitment to a swift conclusion of the ambitious EU-Japan Economic Partnership Agreement. She will also seek agreement from Prime Minister Abe that the UK and Japan should work to ensure it can form the basis of a bilateral arrangement quickly after Brexit. The Prime Minister will be accompanied by the International Trade Secretary Dr Liam Fox and a delegation of 15 senior business leaders including representatives from Barclays, the Scotch Whisky Association and Aston Martin. Japanese companies already invest more than £40 billion in the UK and over 1,000 Japanese companies, including Honda, Hitachi, Fujitsu and Sony, employ 140,000 people in the UK. Flagship Japanese companies such as Nissan, Toyota and Softbank have already committed to a long-term post-Brexit presence in Britain. Building on our existing ties with friends and allies around the world is vital as Britain prepares for a new era outside the European Union. Japan has long been a natural trading partner for the UK as a like-minded nation with a shared belief in free trade and a rules-based international system, and my discussions with Prime Minister Abe will focus on how we can prepare the ground for an ambitious free trade agreement after Brexit, based on the EU-Japan agreement which I very much hope is nearing conclusion. As our closest security partner in Asia, we will also discuss how we can work much more closely together on cyber security, counter-terrorism and defence – more important than ever in this uncertain world. Japan is one of the UK’s largest non-EU trading partners, and as an international economic department we are engaging with businesses on both sides to maximise commercial opportunities and ensure continuity in trade as we leave the EU. Our aim for this visit will be to strengthen our already strong bilateral relationship and lay the groundwork for a future trade agreement. The UK is Japan’s second most popular investment destination, and leading the business delegation is a key part of ensuring we are continuing to work closely with Japanese buyers to attract investment to the UK to create prosperity and jobs. The article that appeared below yesterday about the third anniversary of the Hiroshima landslide – I posted a series of posts about it in August 2014 (which still holds the record for the largest number of posts in any one month) – was a reminder that it has been almost 3 years since I received any real news about my son. 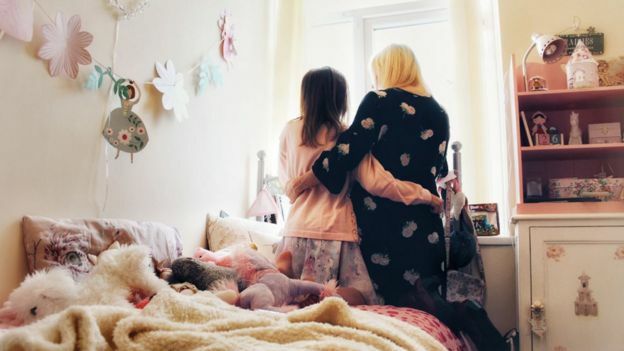 It is preposterous that this is so and that the UK government shows no tangible interest in the issue of ongoing and historical international parental child abduction in Japan. 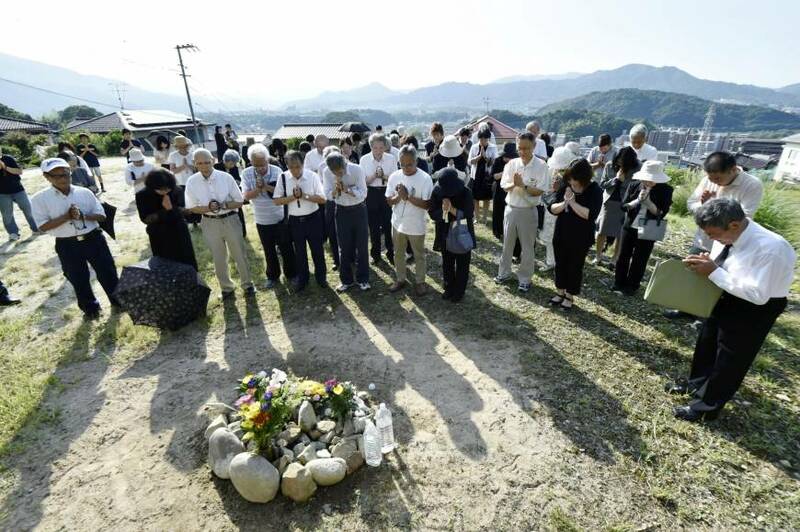 HIROSHIMA – A memorial service was held Sunday in Hiroshima to commemorate the third anniversary of the landslides that claimed the lives of 77 people. “I don’t want anyone else to become a victim or a person feeling like us,” said 77-year-old Takako Miyamoto, one of the speakers at the event. She lost her husband after torrential rain triggered landslides in residential areas close to mountains in the city early on Aug. 20, 2014. “It is really painful and sad. Our lives were ruined after losing everything dear to us, homes destroyed,” said Miyamoto, who was seriously injured in the landslide. Three years ago, about 400 houses were either washed away or damaged by the landslides that struck Hiroshima. Jointly hosted by the Hiroshima municipal and prefectural governments, the event was held in Asakita Ward, one of the hardest-hit areas. Families and residents visited the devastated sites early Sunday to offer flowers and pray for those who died. Some touched the names of victims listed on a monument, while others tearfully clasped hands. Hina Sawamoto, a 16-year-old high school student in the city of Hiroshima, lost her grandmother after a mudslide smashed into her house that day. She sometimes recalls the mudslide when it rains heavily and becomes worried that disaster may strike again. The teenager said she wants to give a helping hand to those affected by the downpours in Kyushu, just as she was helped by volunteers after the disaster in Hiroshima. She went to Oita Prefecture last month with her father, Yasuhiro, 46, and helped a family whose house had been swept away by a mudslide. “I was supported by many people. 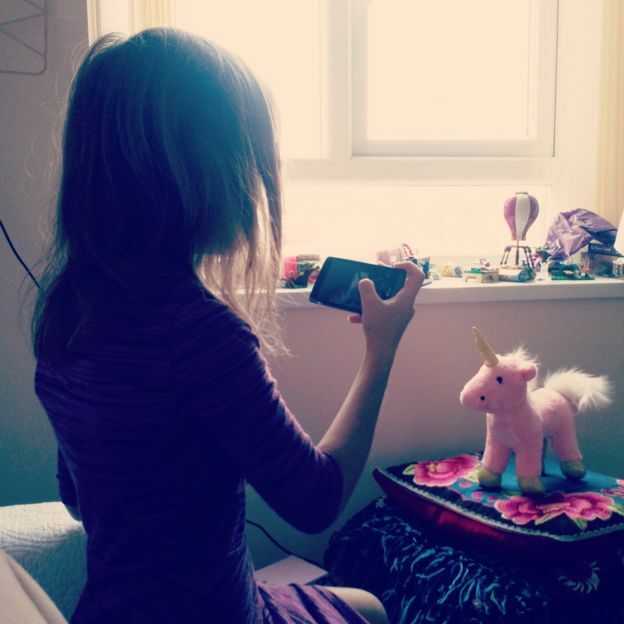 So I wanted to show my gratitude,” she said. Although she was helping out, Sawamoto said she did not really get to talk with the victims. “Sometimes people want to be left alone. I know how they were feeling.” At the time of the disaster, residents in the devastated area had not been informed of the landslide risk, as many of the sites were not designated within the warning zone in accordance with the law on prevention of landslide disasters. Afterward, the state revised the law and obliged prefectural governments to swiftly make public the results of basic investigations of terrain and geological conditions. The revised law took effect in January 2015. According to the Hiroshima Prefectural Government, emergency work since the disaster to make 57 locations more resistant to landslides was completed in May this year. The prefecture is expected to designate around 50,000 locations as landslide warning zones, but only about 40 percent of the areas had been so designated as of Aug. 10. 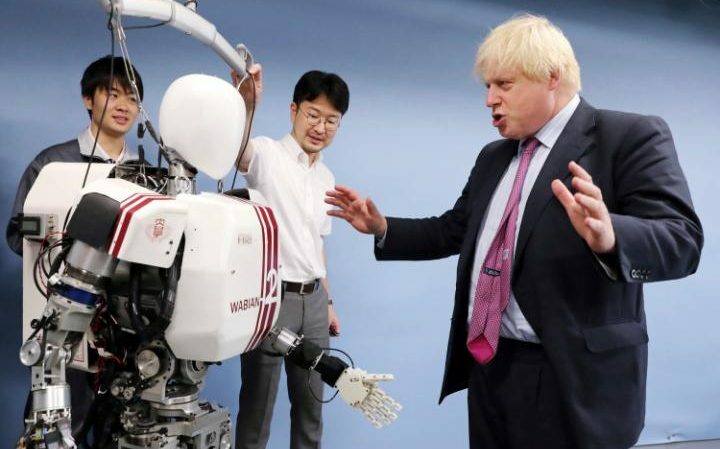 Boris Johnson has worked alongside the Maybot – the rather unflattering nickname given to the Prime Minister – so he seemed completely at ease trying out his oratory skills on a state-of-the-art robot on a diplomatic visit to Japan. The robot, however, looked hard to impress. The Foreign Secretary touched down on Thursday for top-level cyber security, defence and trade talks. 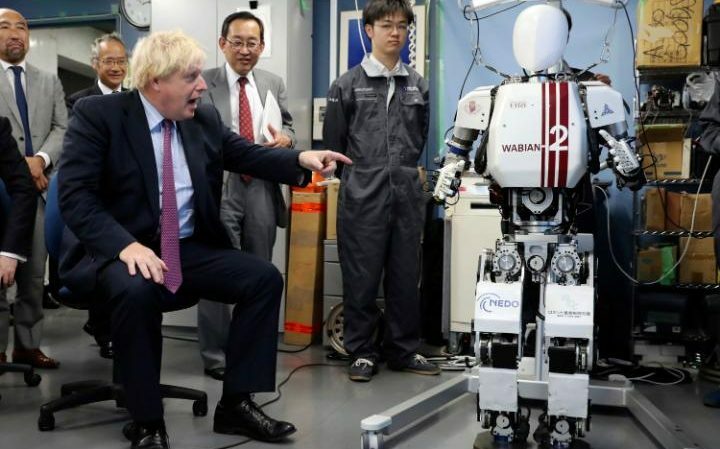 He stopped for a photo opportunity with a humanoid robot at the Research Institute for Science and Engineering in Tokyo. 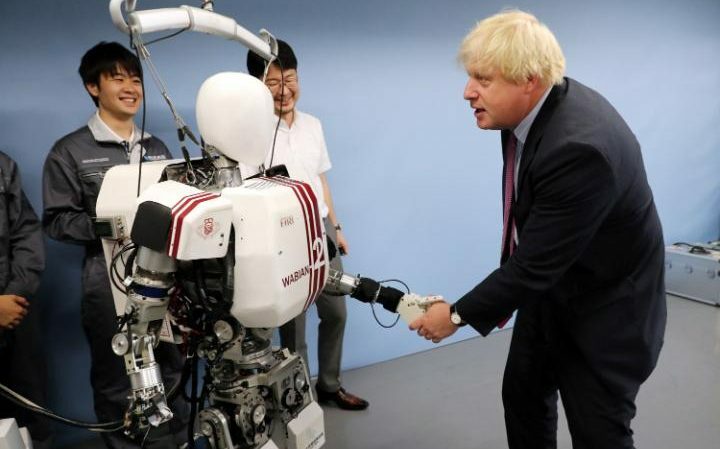 He shook hands with the robot, named Wabian2, before striking a series of poses. The robots he saw were developed to help in disaster situations and with healthcare. The Foreign Secretary said: “I have come to Japan to build on our historic relationship, which is based on common values, support for democracy, human rights and free and open markets. “Japanese companies invest more than £40 billion in the UK and our commercial relationship is stronger than ever. We do great work together on everything from defence and security to education, research and innovation. “As London Mayor I had the privilege and honour to see up close how dramatically the Olympic and Paralympic Games unified and lifted our great capital, and I am excited for the people of Tokyo that they will soon experience the magic that the Olympics brings.